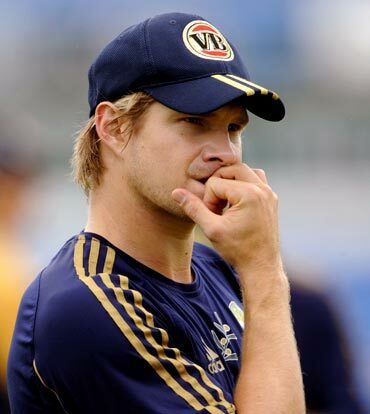 During his off-duty hours on England tours, Australia all-rounder Shane Watson explores the London blues clubs and fuels his passion for 1960s British rock. Informed that John Mayall, the grandfather of British blues, was playing a gig at the Jazz Cafe in Camden Town during Australia's brief mid-summer tour this year, Watson was elated. Then he checked the team schedule. "We're in Southampton," he said, shaking his head. "Mate, I really wish you hadn't told me that." At first glance Watson, a strapping Queenslander with the build and long, blond hair of a dedicated surfer, is an improbable blues aficionado. First glances deceive. 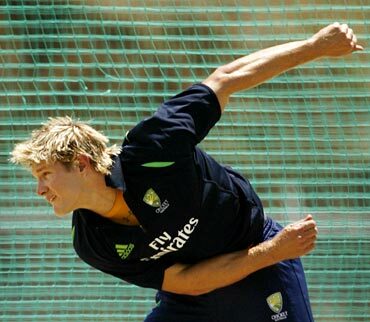 Since his Test debut in Sydney five years ago, Watson's outwardly robust physique has proved alarmingly fragile. "Watson's frame was so brittle it threatened to break him. He refused to give up; not through recurrences of back stress fractures, hamstring strains, calf problems, hip complaints, a dislocated shoulder or a suspected heart attack that turned out to be food poisoning," says his profile on the Cricinfo website. Watson turned to music, and the blues in particular, during the long, soul-destroying hours spent in recovery and rehabilitation. There were many who doubted he would ever fulfil his abundant potential, others who openly questioned his temperament. 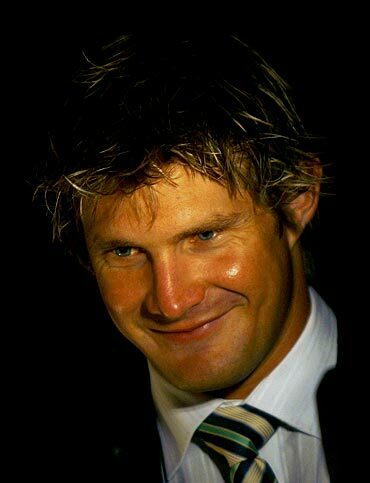 "During some of the crazy things during my cricket career, music has been the thing that has taken me away," Watson explained to reporters at an Australian media day in London. "It was something that really kept me going during the times I had some injuries, and kept getting injuries. My guitar and music was the thing that really kept me going, kept me sane I think as well." A change of role in the middle of last year's unsuccessful Ashes campaign transformed his career. Until then Watson, who turned 29 this month, had been used as a bowling all-rounder who batted at seven or eight in the order in Test and one-day cricket. Although he was a fine athlete and routinely brilliant in the field, Watson's medium-fast deliveries have always seemed laboured and his action somewhat manufactured. By contrast, he is a naturally clean, exciting striker of the ball but one with apparently little chance of winning promotion in a strong Australian middle order. After Phillip Hughes's technical deficiencies had been exposed by the England pace bowlers in the first two Ashes Tests last year, the Australian selectors cast around for a replacement opener. Watson, they decided, despite an average of 4.7 when opening for his state, was their man. The move was an instant success with Watson's essentially sound technique proving equal to the challenges posed by the new ball. He scored 62 and 53 at Edgbaston, 51 at Old Trafford followed by 34 and 40 when Australia surrendered the Ashes at the Oval. In his first eight Tests at the top of the order he tallied seven 50s and a century. "I got the opportunity in the Ashes last year to see how good I could become as a top-order batsman and things have been going really well," said Watson. "So it's taken a bit of pressure off my bowling and also my body as well. I don't have to push my body as hard as when I was trying to make it primarily as a bowler. "It has probably reverted to how I have always sort of seen myself to be, as being a batsman who does bowl to give the side balance more than anything. But you do have to take your opportunities and my opportunities as a younger guy were primarily my bowling." Watson said he has also changed his training routine. "I've just been very smart about training, I used to over-train a lot," he said. "Now I know the most important thing is to be fresh and make sure when you go out to the game you're in a good mental state whereas before I used to be physically tired and drained from the days previously. I'm a lot smarter." 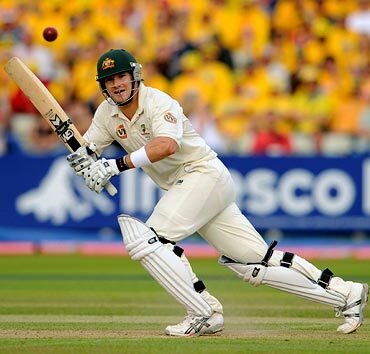 At the beginning of the current five-match one-day series against England, Watson had struck 34 sixes in all forms of international cricket this year, more than any other batsman in the world. This controlled power should serve Australia well when they strive to regain the Ashes at home this year. "One thing I don't like is losing to the Poms," Watson said. "I'm always really aggressive, that's the way I play."